Brackenfell is a Northern Suburb of Cape Town, located in the Western Cape. It is a well-known residential suburbia that forms part of the 'Boerewors Curtain' - a coined term that refers to the invisible 'divide' between Afrikaans and English people living in the city. Brackenfell was established in 1913, functioning as a major road crossing in Cape Town. 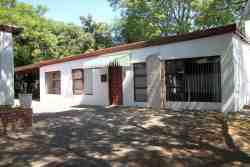 Now, it is a residential area with beckoning views of the Oostenburg Mountain Range. Not only do the picturesque vistas of mountains and distant vineyards attract visitors to the region, but its ideal location to the rural winelands makes it a holiday destination of choice for wine lovers. Brackenfell is a stone's throw away from The Durbanville Wine Valley Route, a ward of the Tygerberg Wine District that features a wide selection of wineries. Annually, aficionados look forward to the 'Feast of the Grape', a highly anticipated event that showcases award-winning wines from 12 of the valley's wineries. Event-goers have the opportunity to participate in activities such as grape-stomping and tutored wine tastings. Surrounding attractions include the Bracken Nature Reserve, a quarry turned nature reserve that's home to the nearly-extinct Cape Flats Sand Fynbos and the Swartland Granite Renosterveld vegetation. The reserve harbours over 160 species of plants and flowers, which includes orchids, succulents and miscellaneous flowering bulbs. While vegetation is prevalent in the reserve, visitors can also spot a wide-spectrum of small mammals, reptiles, birds and amphibians. If you're looking for a day out in the wine valleys or some night-time entertainment, Brackenfell has a lot to offer holidaymakers. 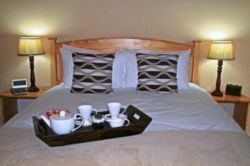 Book a weekend away at Brackenfell's various Bed n Breakfasts, or self-catering apartments. A quick look at our website will give you the information you need to make your choice. You will find reviews and you will also be able to compare prices and find wonderfully affordable accommodation in Brackenfell. 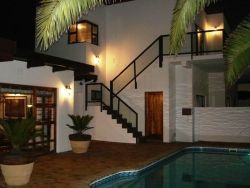 Are you planning the perfect getaway but have not yet found your ideal Brackenfell accommodation? By using our easy website, you can find great accommodation of all types, whether it is a cosy bed and breakfast or a comfortable lodge. We have thousands of easy to find listings for self-catering facilities, holiday homes, guest houses and hotels as well as backpackers, chalets, caravan facilities, villas and apartments, giving you a wide variety of options when it comes to your accommodation in Brackenfell. To help you find the right place to stay, we have a number of tools that you can use, including a map. This will help you to pin point exactly where you will be staying and it will show you the accommodation facilities that are closest to where you will be. Regardless of the reason for your visit to Brackenfell, we can guarantee that you will find the type of accommodation you are looking for. But reviews for Brackenfell accommodation is not the only information you will find. Want to know if your Brackenfell accommodation is pet-friendly or allows smoking? All of that information is included on the listings page. You will also be able to find which activities are on offer and the sort of amenities included with each room. All of this information will help you to make an informed decision before you make any payments to, giving you more peace of mind about your choice. 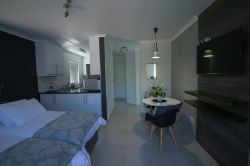 We include all of the contact details of the self-catering accommodation, holiday homes, guest houses and hotels as well as backpackers, chalets, caravan facilities, villas and apartments in Brackenfell which are featured on this website, so you also have the option of getting directly in touch with the place. Regardless of where you are staying, we feature Brackenfell accommodation in that area of the province. You have options of Brackenfell guest houses, lodges and bed and breakfasts, among others, ranging from your more affordable, lower prices to your more luxurious options. So, you are not visiting for a holiday but rather for business and all you need is a place to stay for a night or two? The bed and breakfast options, as well as the lodges, are generally preferred by business people and you will find all types, from your more luxurious lodges to your simple, self-catering bed and breakfast. Each will give you a safe roof over your head while you are in the province. 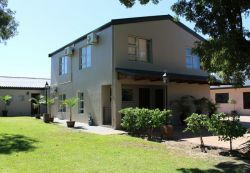 Brackenfell accommodation is not only affordable but well situated. If you are doing business in this area, this is a great accommodation choice. Spending more than a few days in the province? Perhaps you are indulging in a tour of the region and you are looking for a few places to stay? Browsing through our listed self-catering accommodation, holiday homes, guest houses and hotels as well as backpackers, chalets, caravan facilities, villas and apartments in Brackenfell will give you all of the information you need to make your selection. And once you have found the ideal place to stay, you can either request a quote or make your booking directly on this website. Sleeping-OUT.co.za is designed to make finding and booking accommodation in Brackenfell easier than your traditional methods of sourcing a place to stay! 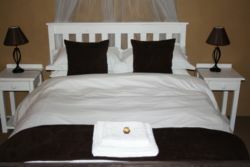 We include some great accommodation special deals in and around Brackenfell. I would like to thank Sleeping-OUT for selecting me as a prize winner. The website is excellent and I advise everyone to try it for their holiday bookings. 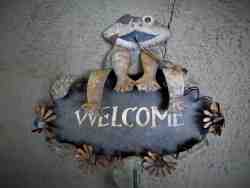 51 reviews of Brackenfell Accommodation. It was a great location, considering the travel distance to malls, service stations and nearby neighborhoods. Brackenfell is a quiet suburb. Centrally located so nothing is a major drive. Great for a short break where you go somewhere specific each day.